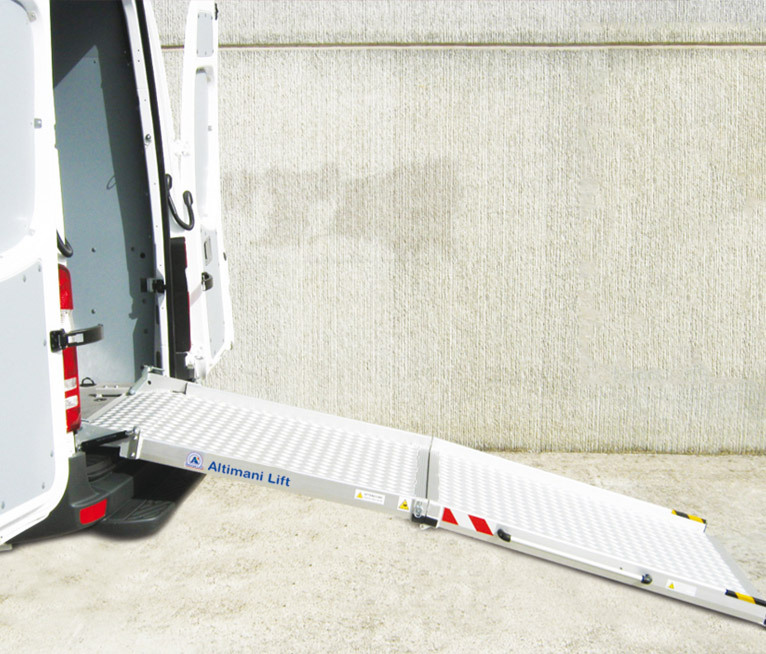 Altimani Lift designs and made any type of hydraulic tail lifts for lifting, loading and unloading of goods on vans, trucks and lorries. A wide choice of models functional and safe. The hydraulic tail lifts are also known as elevators and loaders. Are lifting appliances applied on a lorry, means of transport for goods which have the objective of moving, upload, download, carry. This apparatus facilitates the operation of unloading and loading of goods, especially at the stage of delivery. 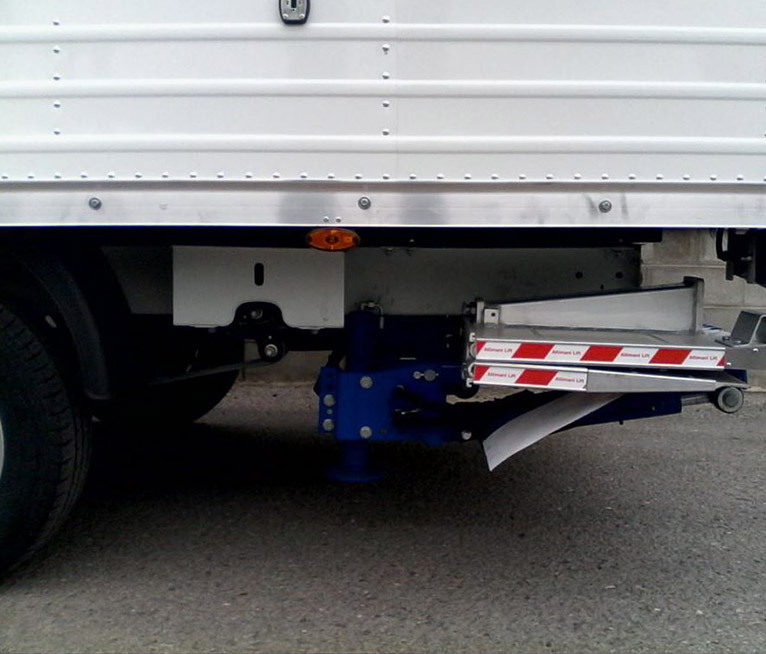 The hydraulic tail lifts for vans and trucks allow to lift any product that you want to upload inside your vehicle. Without fatigue, with extreme comfort and very quickly. The application of the Hydraulic tail lifts is very easy on fixed bodies (with or without the struts), on vans and tipping over. The models of the tail lifts can be a retractable, cantilever, column with folding platform or half- tail lifts. 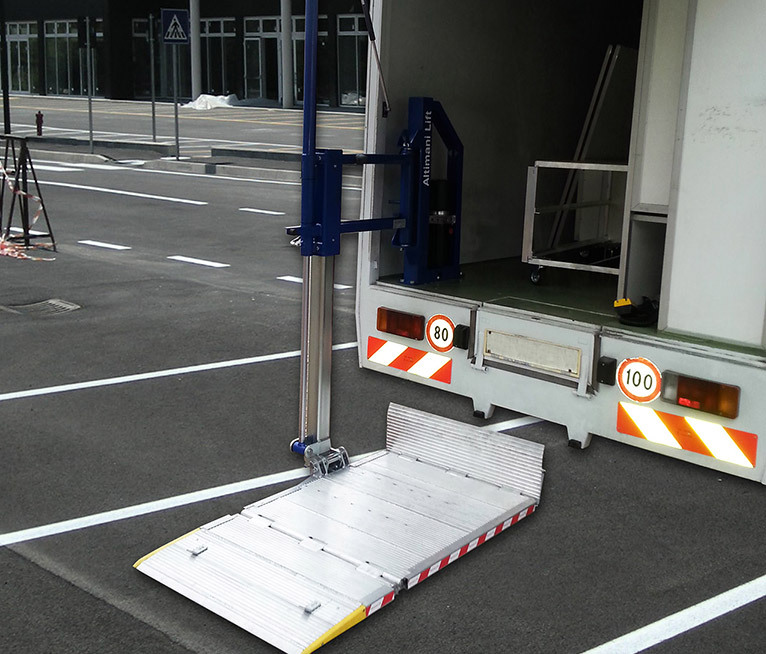 Altimani Lift is able to respond in a targeted manner to every customer need, starting from design to final installation of hydraulic tail lifts for trucks and vans. Our experts provide a complete service to satisfy any needs of those who turn to our company for the production of hydraulic tail lifts for trucks and vans. Our technical office specializing is able to design a custom solutions fast, precise and professional, thanks to high tech instruments and experience in the sector. 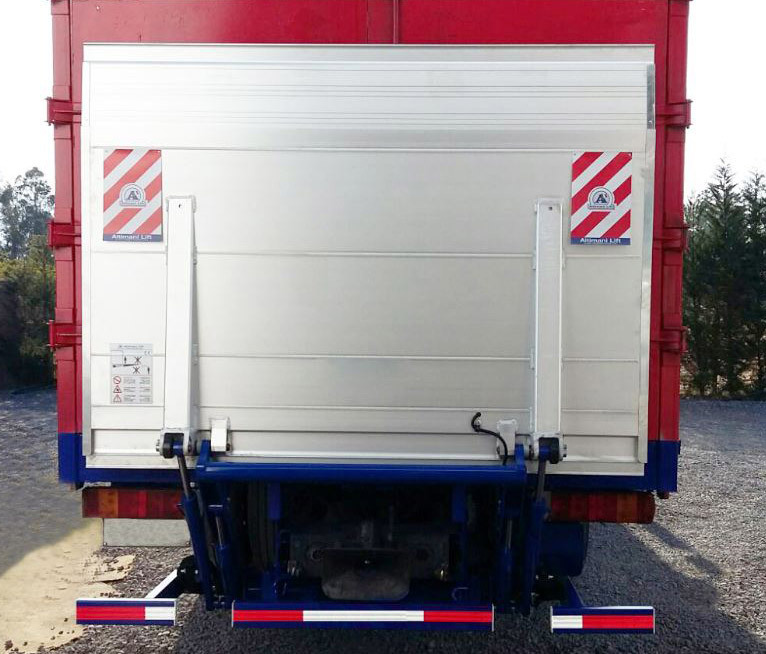 The tail lifts for vans and trucks are available in different models to suit any need in the operation of loading and unloading goods.